Hatton Gallery is now open following a £3.8 million redevelopment supported by National Lottery players through the Heritage Lottery Fund. The Hatton Gallery redevelopment project involved conserving the historic and architectural elements of the Grade II listed building while creating a modern exhibition space. Work included enhancing the Edwardian architecture, improving visitor facilities such as introducing flexible facilities to display the gallery’s distinctive permanent collection, as well as improved lighting and more efficient environmental controls. A new dedicated multi-purpose learning space enables students, community groups and researchers to engage with collections and archive material. The picture store has been rebuilt and enlarged to ensure the Hatton’s extensive collection is preserved for future generations. The Hatton’s diverse collection includes over 3,000 works from the 14th – 20th centuries with extensive archive material including paintings, sculpture, prints, drawings and textiles, and material connected to the history of the Gallery, such as exhibition posters designed and printed in the art school. 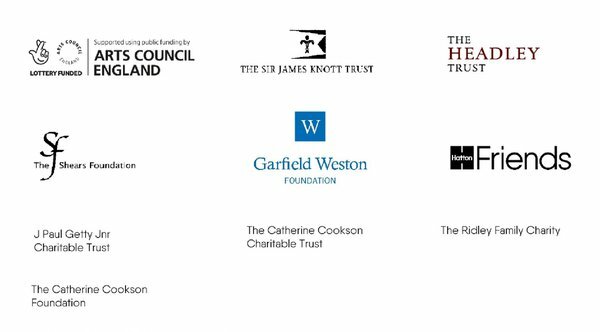 The Hatton Gallery redevelopment would not have been possible without generous support from trusts and foundations as well as groups and individuals. Special thanks to Ray and Jeanette Wilson for their donation in memory of Lawrence Caffery, Friend of the Hatton.